With the growing strain on healthcare resources, cases of medical malpractice are becoming more common. In order to cut costs, hospitals and clinics sometimes push doctors and nurses to see more patients in less time. Sometimes, insurance companies dictate to the doctors what can and cannot be paid for a certain treatment or medical surgical procedure, resulting in the doctors trying to perform more procedures at the expense of the patients’ safety. People place great trust in their doctors and healthcare providers. When that trust is violated, people are seriously hurt and even killed. 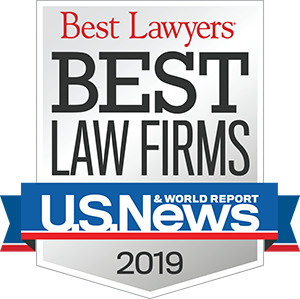 At The McCallister Law Firm, located in Kansas City, Missouri, our attorneys represent people injured because of a failure to diagnose, surgical errors, medication errors, post-surgical infections, hospital negligence, and nursing mistakes. People suffer a variety of injuries because of their doctor’s or nurse’s negligence or incompetence. Lawsuits alleging medical malpractice come down to proving negligence. Negligent conduct by medical professionals occurs when they fail to follow a recognized standard of conduct, and such conduct causes injuries to you. Medical malpractice can also occur to the elderly or disabled living in nursing homes and assisted living. These homes generally do provide quality care to your loved ones. When they do not provide quality care, they can seriously injure your loved one. Our attorneys have represented people whose loved ones were injured by inadequate supervision, negligently hiring nursing home staff, inadequate security for mentally ill patients, a bed sore, improper hygiene, malnourishment, and failure to properly manage the facility’s cleanliness..
To find out more about how much you deserve to collect because of medical malpractice, contact The McCallister Law Firm. Our attorneys represent people throughout Kansas and Missouri. Call us at 816.931.2229.